Mad Apple Collective and The Two Brewers are proud to present the first ever Scratch Night event in Chelmsford! Scratch Nights are a chance to catch a glimpse of the future, and for writers to gain valuable feedback on their work. Enjoy 10 short snippets of the best new writing from the UK and America, and enjoy the opportunity to provide comments and rate the work you see! 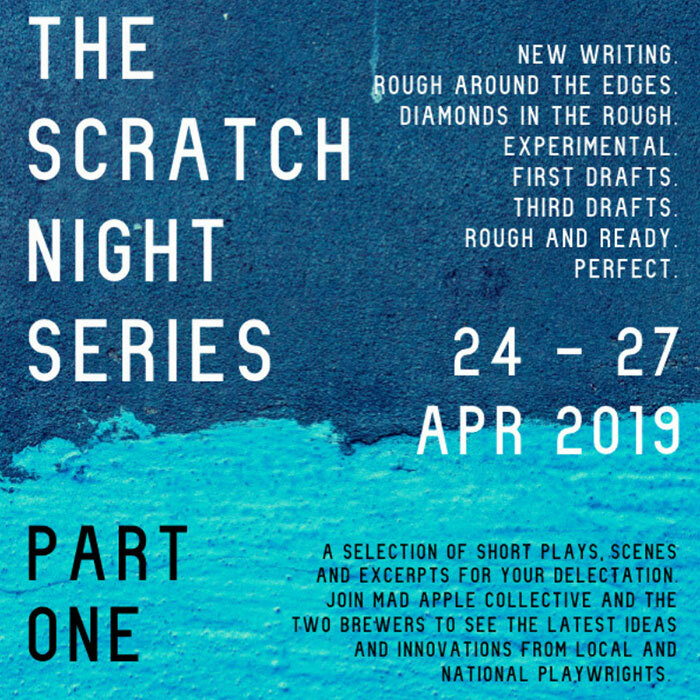 Scratch Nights are semi-rehearsed, rough-around-the-edges events to give writers the chance to get new work, ideas and scenes on their feet and see how they work. They’re an essential part of the development process and we hope you’ll join us!